Who better to give your organization glimpses of tomorrow than the man who wrote FlashForward, the basis for the ABC TV series about seeing the future? 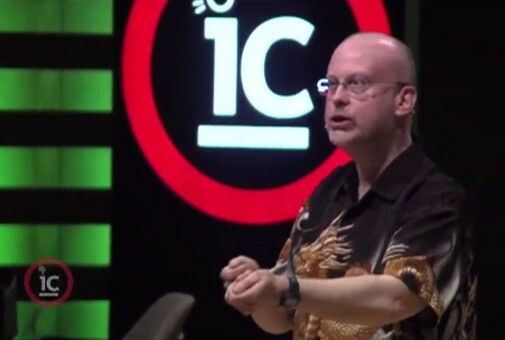 As a futurist, a strategic foresight consultant, and a Hugo Award-winning science-fiction writer, Robert J. Sawyer is very much in demand as a speaker. Rob's specialty is extrapolating today's scientific, medical, and ethical concerns into the near future, and making the radical changes that are forthcoming understandable to any audience. the St. Gallen Symposium in Switzerland. 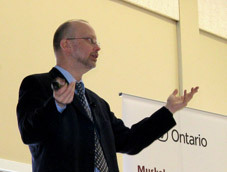 Called "the dean of Canadian science fiction" by The Ottawa Citizen and a master of "bold scientific extrapolation" by The New York Times, Rob opens up people's minds about cutting-edge technologies such as artificial intelligence, stem-cell research, and nanotechnology, exploring the societal impact they are going to have. 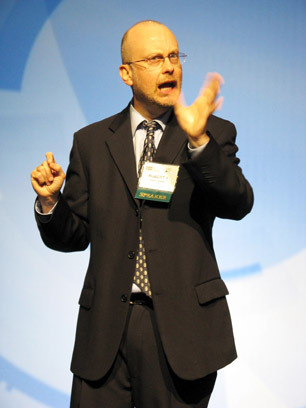 "Robert J. Sawyer is a dynamic and animated speaker; we were spellbound." 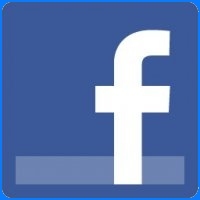 "Feedback was overwhelmingly positive. I don't have to tell you the talk hit the spot." 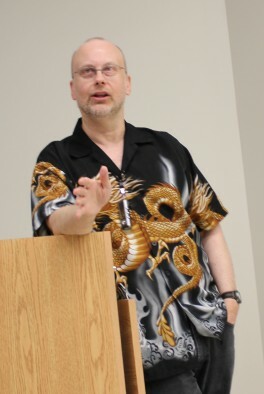 "Robert J. Sawyer is the most engaging speaker we have ever hosted." His audiences have included not just scientists, doctors, and engineers, but also insurance brokers, urban planners, school teachers, and public-relations executives. "Sawyer's real gift is the ability to find the most compelling and correct metaphor, guiding audiences effortlessly through a landscape they might otherwise find forbidding or inaccessible." Rob is a frequent science commentator for Discovery Channel Canada, CBC Newsworld, the BBC, and TVOntario. He has over 700 radio and TV appearances to his credit, including Rivera Live with Geraldo Rivera, CTV's Canada A.M. and W-Five, the CBC's Quirks & Quarks, and NPR's Science Friday. He has been quoted in page-one stories in both USA Today and The Ottawa Citizen. His talks and lectures have been broadcast on CBC Radio's Ideas, TVOntario's Big Ideas, and Bravo's The Writing Life; he's spoken at IdeaCity and TEDxManitoba; and he hosted the 27-part documentary TV series Supernatural Investigator. New Scientist calls Rob's work "scientifically plausible and ethically important," and he has published in both of the world's leading scientific journals, Science (guest editorial) and Nature (fiction). Rob's commissioned nonfiction has appeared on major websites including Slate and the BBC; in such major magazines as Canadian Business, Maclean's, and Report on Business Magazine; in newspapers including The Financial Post, The Financial Times of Canada, The Globe and Mail, The Ottawa Citizen, and The Toronto Star; in popular science publications including Ad Astra, Archaeology, and Sky & Telescope; and in MISC: A Journal of Strategic Insight and Foresight. He has done futurism and strategic foresight consulting for DARPA, Google, Kodak, Motorola, and NASA, and he was the only author invited by Canada's Federal Department of Justice to contribute to its think-tank on Canadian genetic laws. In addition to talks for numerous businesses and associations, Rob has been selected to give prestigious annual keynotes, including the Federation of State Medical Board's Bryant Galusha Lecture, the Saskatchewan Library Association's Mary Donaldson Memorial Lecture, and the Royal Astronomical Society of Canada's Peter Sim Memorial Lecture. And he's also given commencement addresses at Laurentian University and the University of Winnipeg. 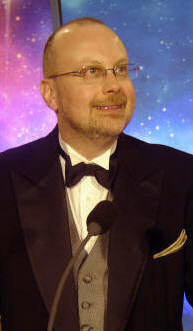 Rob is one of only eight writers in history to win the science-fiction field's three top awards for Best Novel of the Year: the Hugo Award, the Nebula Award, and the John W. Campbell Memorial Award. His books are top-ten mainstream bestsellers in Canada, appearing on the Globe and Mail and Maclean's bestsellers' lists, and they've hit #1 on the bestsellers' list published by Locus, the U.S. trade journal of the science-fiction field, and #1 on the Amazon.com, Amazon.ca, and Amazon.co.uk science-fiction bestsellers' lists. Let him share his compelling insights with your group: e-mail Rob at sawyer@sfwriter.com to arrange a booking. Cutting-edge technologies, such as nanotechnology and inexpensive smart computers, will change everything in the next few years, as will the Semantic Web  the second-generation of the World Wide Web. The coming revolution has been dubbed the Singularity, and it will transform how we learn, how we do business, and even the very definition of what it means to be human. How the fallout from the Human Genome Project will affect civil rights, privacy, employment, and access to services; the truth about cloning, designer babies, personalized pharmaceuticals, and life prolongation. It's been said that anyone could have predicted the automobile  but only a science-fiction writer could have predicted the traffic jam. Although first-order effects of a new invention are obvious (Tim Berners-Lee foresaw the way his World Wide Web would improve academic research), it's only by developing a science-fiction writer's speculative knack that you can see the second- and third-order effects (it was SF writers who predicted artificial intelligence, social networking, and cybercrime). Learn from a bestselling science-fiction novelist how to use extrapolative rigor to foretell  and prepare for  likely futures. Given that ubiquitous monitoring and tracking of all our activities will be possible in the next few years, how do we safeguard privacy  and do we even need it? How to avoid the creation of Big Brother, and make sure that we  the public  can effectively watch the watchers. The World Wide Web has already changed the way we do business, and Web 2.0 is going to have an even bigger impact. Interactive computing and user-generated content, including blogs, wikis, and social networking, have changed the world, and ubiquitous computing will make the Web even more central to people's lives  and more crucial to your business's bottom line. From the author of the acclaimed WWW trilogy, a look at the state-of-the-art in artificial intelligence and the rise of thinking machines, including the barriers to creating consciousness in computers and the societal impact if it ever does happen, plus a discussion of the prehistoric origins of human consciousness as a model for the spontaneous emergence of self-awareness in complex systems, such as the World Wide Web. The cubicle's days are numbered: as more bandwidth goes into homes, telecommuting with fully immersive virtual reality will become possible, and societal and environmental pressures will make it common. Distinguishing between home and work life will be a struggle, and employers will have to balance workers' rights to privacy against the need to ensure the quantity and quality of work being done. Will we still have maternity and paternity leave when workers already spend much of their time at home? In the era of multitasking, to whom do you assign billable hours? What will tomorrow's meetings be like? A cutting-edge exploration of the future of work and the workplace with Robert J. Sawyer, who is quoted in the mega-bestseller The 4-Hour Workweek. Rob has spoken to both the Federation of State Medical Boards (meeting in Boston) and the Council on Licensure, Enforcement and Regulation (in Phoenix) about the future of professional certification in a world in which things change overnight. Is an engineer licensed in 1990 competent in a world of carbon nanotubes and nanotechnology? How will we handle testing and upgrading in the age of annual paradigm shifts? What we can do to combat global warming, why Canada is a key player in environmental efforts even if we only produce 2% of the world's carbon emissions, and what Canada might be like in a warmer future, when a Northwest Passage opens up thanks to polar-ice melting, and the American south is devastated by droughts. An introduction to electronic books and electronic publishing, and the impacts they are are having on the way we read, and the way we think about reading. 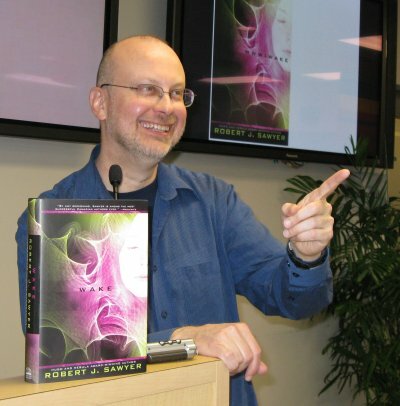 Robert J. Sawyer  "just about the best science-fiction writer out there," according to the Denver Rocky Mountain News  sets the stage for thinking about the rapid pace of change that's coming down the pike by showing how science fiction visions are increasingly becoming real. Captain Kirk's communicator and tricorder are now embodied in our smartphones; robots have walked off the pages of science fiction into our living rooms; and the Jetsons' hyperconnected lifestyle has become our daily reality. Rob shows why science fiction has been called "the only preventive medicine for Future Shock," and explains how extrapolative science-fiction thinking and rapid adoption of cutting-edge technologies can aid businesses as they rush to meet the future. 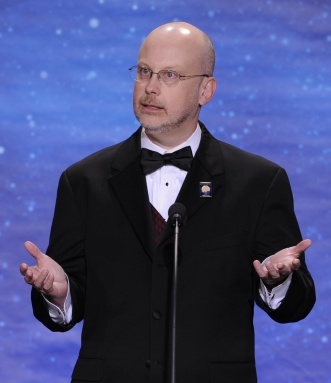 "Robert J. Sawyer performed with the highest degrees of professionalism, along with considerable wit, humor and clarity. I have no doubt about Robert's ability to hold an audience's attention, and recommend him for suitable corporate or other events." 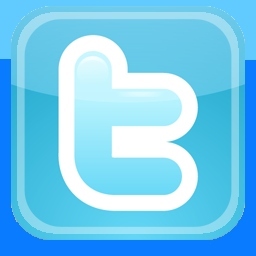 Gartner Inc. Copyright © 1995-2018 by Robert J. Sawyer.